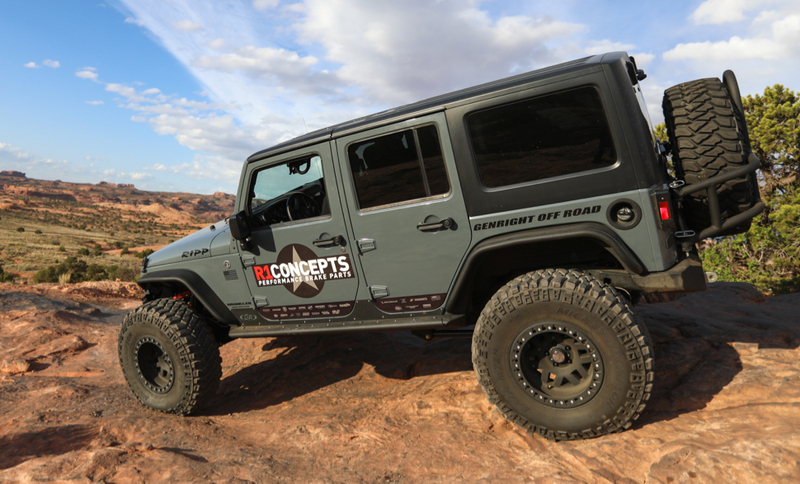 This is Charlie from R1 Concepts Jeep Wrangler JKU. 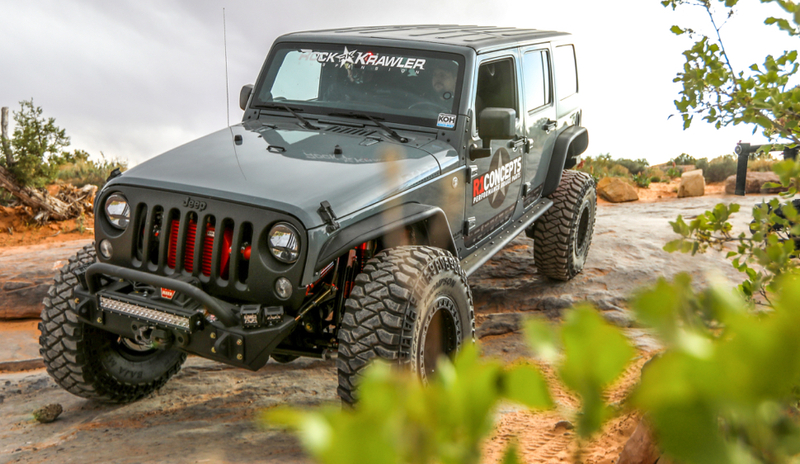 He is a manufacturer of high performance brakes for Jeeps and is based out of Los Angeles, CA. His rig has a GenRight cage, inner fenders, tire carrier and aluminum body armor. 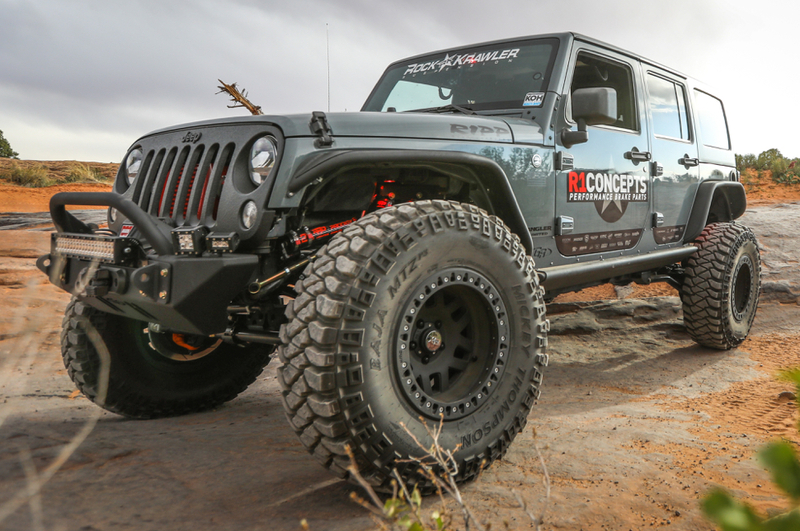 He also has a modified Teraflex suspension with King shocks, Warn winch, RIPP supercharger, 40" Mickey Thompson tires and KMC wheels. Look for this clean rig at shows across the USA.